I like the way the smaller size of this insincere apology adds that special something. Thanks, Laura. They aren't sorry. 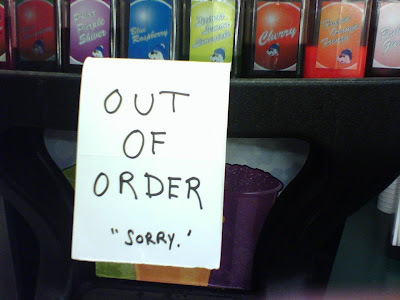 They are happy that it's out of order! They care so little that they match a double quote with a single quote.